THINKING OF starting your own business? If you are, then a few things you have to consider would include the equipment your establishment would need. These tangible assets could range from the raw materials you use to manufacture your products to the machines you need in the office like the printer and copier. Indeed, involving in a business venture would take you more than just the products that you would provide or offer to your market, you would also need to invest in supplies and devices to help run and manage errands at the office. In other words, you would need to have the right equipment to get your business going, and thus, having a copier is a great way to start this! 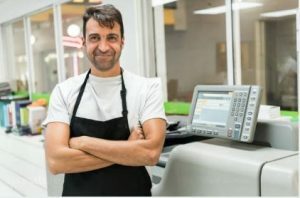 If you run a small to a medium-sized establishment, having to constantly print and produce copies of various business-related papers and documents is inevitable, what with all the requirements you have to provide your local government with to obtain the business permits and identifications necessary for the legal operations of your business. In this case, you would no doubt be needing a copier instead of just an ordinary printer. If you require proofs to your business operation, you would need copies of the papers, and what best equipment to produce such other than a copier? If you need to provide a receipt (or a copy of it), you would also need a copier. If you have to reproduce multiple copies for product advertisements, then you’d surely need a copier. This piece of equipment is specially designed and manufactured to produce multiple copies of a document within minutes. With the convenience and practicality of owning a copier, a lot of other businesses today are also buying (or at least, leasing their own machine). The fact that thousands of business owners are making the decision to acquire one of these handy machines is proof alone that this no-nonsense device is reliable, and thus, a wise business decision that every entrepreneur or manager should consider.